Pakistan’s leading Telco has introduced a service for the local labor community called, ‘Mobilink Rozgaar’. Through the utilization of this service, skilled and unskilled laborers can apply for jobs in Gulf countries through the support of Mobilink’s partner recruiters in the UAE. ‘Mobilink Rozgaar’ ensures applicants are provided step-by-step information about the application process and what each job opportunity offers. Initially, customers will dial Mobilink’s call center to have their profile created and select the job category depending on their interests and skill set. Once the category is selected, customers will get notifications on latest blue collar jobs matching their selected criteria on their cell phones. “At Mobilink, we realize that mobile phones, coupled with supporting products & services, are tools for bringing about positive change. 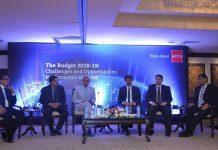 And we have launched our ‘Mobilink Rozgaar’ service to facilitate the local labor force in bringing about a positive change in their lives by attaining the best possible job abroad in relation to their skill set,” said Asif Aziz, Head of Marketing – Mobilink. For creating/updating their job profile, customers will dial free of cost Interactive voice response at 3711 to select the call center option, after which the call center agent will take customer details to create a job profile and select a job category. Following the creation of job profiles, candidates are added to a data base, where they are shortlisted by the recruiter based on prior experience. Recruiter will then contact the shortlisted candidates for skills verification. Once qualified, the candidates will go through tests as per the Gulf Countries’ requirements and the stipulated training of 3-4 weeks. Visa processing and travel is arranged by the recruitment company upon completion of the training. To subscribe, users need to send ‘SUB’ on 3711 or dial 3711. For prepaid users, subscription charges of PKR 2.99 (incl. tax)/week apply, while the service can be activated for PKR 10+tax/month for postpaid users.